As a society, we may have happiness all wrong. 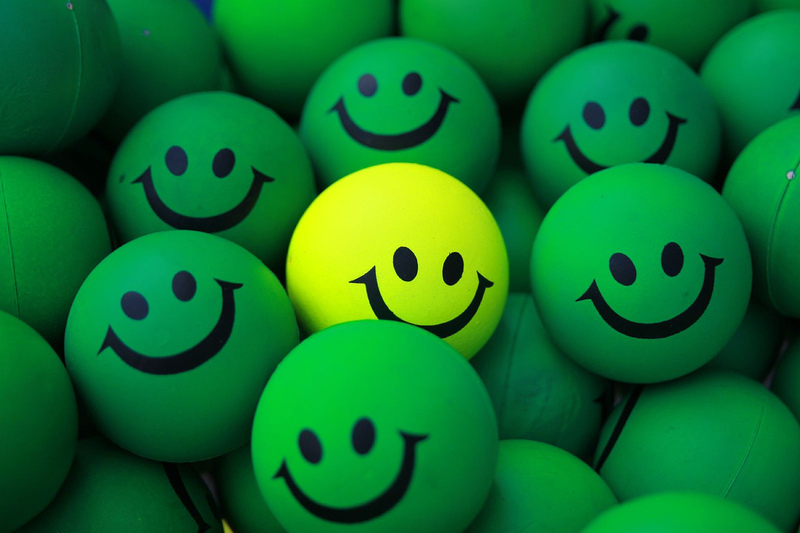 Most people think happiness is feeling good, a “yellow smiley face” you get from experiencing pleasurable things, said Barry Schwartz, a psychologist at Swarthmore College. But psychologists who study happiness have found that life experiences don’t affect our general happiness as much as we think they do. The circumstances and events of a person’s life only explain 10 percent of the variation in how happy people report themselves to be. Half of the difference in personal happiness levels is genetic — a person’s biological makeup and personality traits establish a default they’ll never get too far above or below, according to Sonya Lyubomirsky, a psychologist at the University of California, Riverside. We can’t change our genes or control what happens to us, but people actually do have some say about the remaining 40 percent of variation in reported general happiness. Lyubomirsky theorizes that much is due to how people intentionally spend their time, including how they interpret their experiences. Our misconceptions about happiness don’t stop there. People also think that the more options we have to choose from, the greater likelihood we’ll have of being happy. But in Schwartz’s 2004 book “The Paradox of Choice,” he argues that more choices — like the ridiculous number of options we have when going shopping for a new pair of shoes — actually can induce anxiety and depression. And contrary to the platitude that money can’t buy happiness, Schwartz cited research that shows the emotional wellbeing of Americans increases with income — but only up to a point. Beyond a yearly income of $75,000, “there are no more additional bangs for additional bucks,” Schwartz said. Those results may be related to one piece of Schwartz’s advice on how to be happy: Do stuff, don’t buy stuff. This advice can be counterintuitive for Americans, especially given how often advertising targets our desire to be happy. But activities bring people more satisfaction than possessions do, according to Schwartz, perhaps because we tend to do activities with other people. A good life, Kasser continued, takes into account how an individual’s pursuit of happiness affects the happiness and wellbeing of others. Though one person might take pleasure in lying to others and therefore be happy, that person is not really living a good life by Kasser’s definition because he or she is harming the wellbeing of others. Though we can do more than you might suspect to make ourselves happier, thinking it’s so important to feel good may actually be our biggest misconception about happiness.